Incendiary Toxic Grief A varied 2 hour programme with activism, science, art and dance. 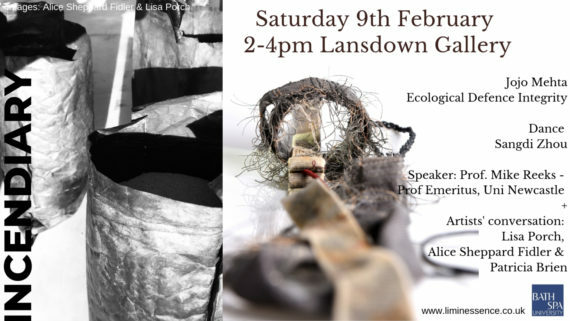 Prof. Mike Reeks, Jojo Mehta and artists Lisa Porch, Alice Sheppard Fidler with curator Patricia Brien and dance with Sangdi Zhou +smokey vegan nibbles. Hear the science, activist projects, artists responses and dance.